Yet another instance of the police responding with an inappropriate level of force, and as a consequence, Eric Garner, a 43 year old man from Staten Island, New York is dead. In this instance, from everything I can gather this was not even a situation where any escalated level of force was warranted. The New York resident died on Thursday after NYPD officers put him in a chokehold before apparently slamming his head on the ground. He has a known asthmatic condition that investigators believe may have contributed to his untimely death as well. The video shows Mr. Garner begging officers to let him breathe as he lied helpless on the ground. Officers contend that Mr. Garner was selling un-taxed cigarettes, an offense which he has been arrested for before. In the video you can see Mr. Garner deny the allegations and repeatedly asks why he is being stopped and that he wishes to cease the police encounter. “Every time you see me you want to mess with me,” Garner told cops in the video. “I’m tired of it. It stops today!” Then when Garner would not put his hands behind his back, and asked one officer not to touch him, two others moved in, taking violent action to effectuate the arrest and subdue Garner. One officer in the video can be seen putting Garner in a chokehold, spinning and then slamming him on the ground. 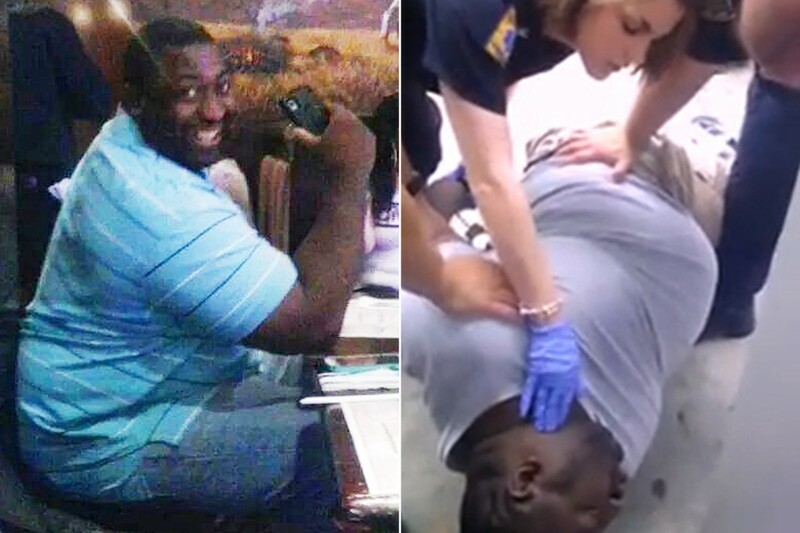 Garner can be heard screaming “I can’t breathe, I can’t breathe!” before going quiet. Multiple witnesses to the death expressed anger at the NYPD – “They jumped him and they were choking him. He was foaming at the mouth,” the man that took the video stated after the incident. Another witness said Garner was absolutely not selling cigarettes. A quick side note – no matter how right you believe you are in the right to refuse to cooperate with the police (or even objectively speaking are justified in ceasing a police encounter), ALWAYS cooperate. You will have your time in court later to address, with your attorney, the possible illegality of the police conduct. But some of these guys have the itch, they are just waiting for any excuse to pummel, choke, taze, strike, or even shoot you. I wish I could say there is a widespread fairness and even-handedness you could rely on – but I would advise you to not bank on it, your rebellion could cost you your life. Understandably, Mr. Garner’s family is outraged and devastated. Now, they want the NYPD to be held accountable for their actions. Mr. Garner was a married father of six children. He has been described by family and friends as a gentle giant, a big teddy bear. He died of a heart attack during the arrest and choke hold. His family members, including his wife Esaw Garner, said her husband suffered from chronic asthma. Well, it seems like that part of the training went out the window. Tragedy.